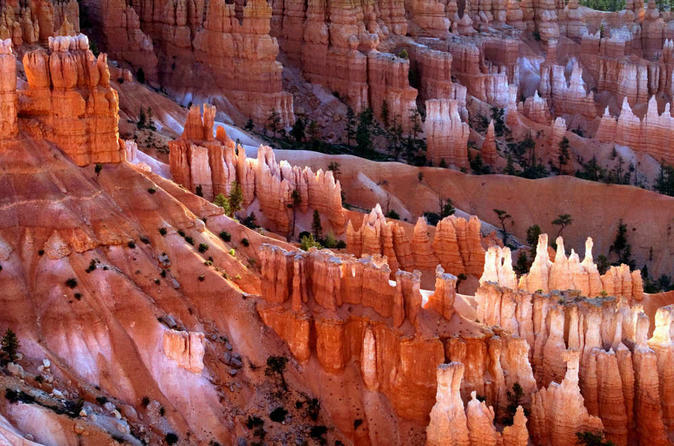 Leave the traffic of Los Angeles behind, enjoy the excitement of Las Vegas then the incmoporable Grand Canyon, the spectacular Bryce Canyon and the amazing Zion National Park. You can end your tour in Las Vegas ore your return to Los Angeles is optional. Today we head through the Mojave Desert to the fabulous Las Vegas, we stop at the Outlets of Barstow for some shopping, lunch and souvenirs. After lunch we pass by the famous Ivanpah Solar Plant, the plant has a gross capacity of 392 megawatts (MW). It deploys 173,500 heliostats, each with two mirrors focusing solar energy on boilers located on three centralized solar power towers. Amazing. We stop along the way for lunch. We then continue to the Fabulous Las Vegas. We end our tour at the renowned Excalibur Hotel and for those who want to head out on their own, we recommend checking out the main attractions on foot, the beautiful fountains at the Bellagio, the amazing Caesars Palace, the Venetian with the gondolas and so on, or you can book a show and enjoy any of the Cirque de Soleil and many other attractions. Your Tour Guide can assist you in planning your evening. We spend some time here, taking in the views and the trails, From here we head to lunch in St George and then our drive back to Los Angeles via Las Vegas. For thos who wish to stay in Las Vegas, your tour ends at the Excalibut Hotel, bus holding area.